Columbia Engineering researchers, led by Harish Krishnaswamy, associate professor of electrical engineering, in collaboration with Professor Andrea Alu's group from UT-Austin, continue to break new ground in developing magnet-free non-reciprocal components in modern semiconductor processes. 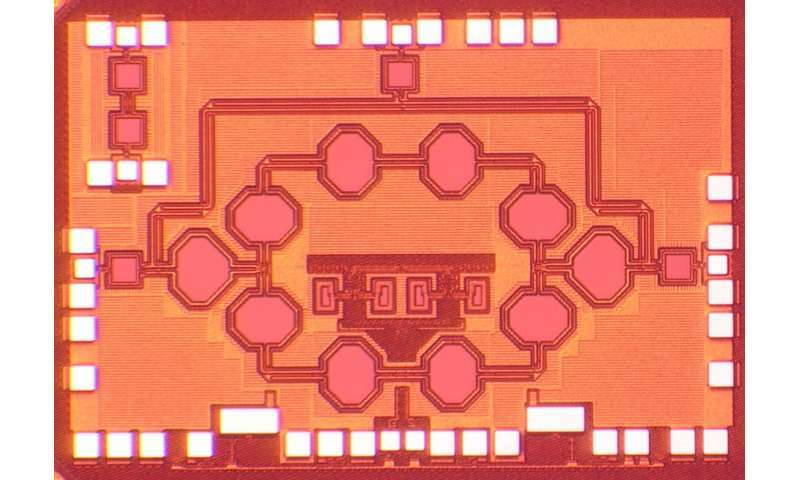 At the IEEE International Solid-State Circuits Conference in February, Krishnaswamy's group unveiled a new device: the first magnet-free non-reciprocal circulator on a silicon chip that operates at millimeter-wave frequencies (frequencies near and above 30GHz). Following up on this work, in a paper published today in Nature Communications, the team demonstrated the physical principles behind the new device. Thank you very much I will suggest this to all my engineering friends studying from Ekeeda. This is very important for us, I am first year engineering student in BEE studying in Ekeeda.